The Supreme Court outlawed segregation in 1954, but it took years of courageous protests to fully integrate the country, especially in the South. In 1961, an interracial group of activists protested southern states' continued segregation by riding together on a bus through the South. 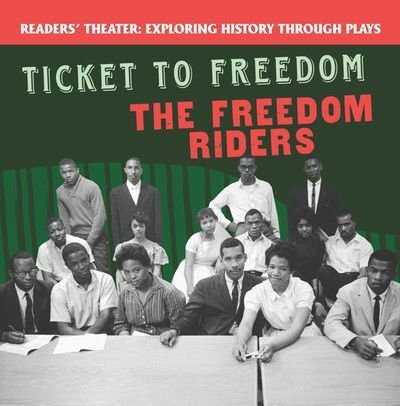 These activists were the Freedom Riders, and this play introduces modern readers to their brave, peaceful protest. Historical photographs help readers understand this period of history. Stage directions, costume and prop notes, and character descriptions help readers perform the play with ease. Readers will appreciate this important moment in history as they bring it to life on stage.